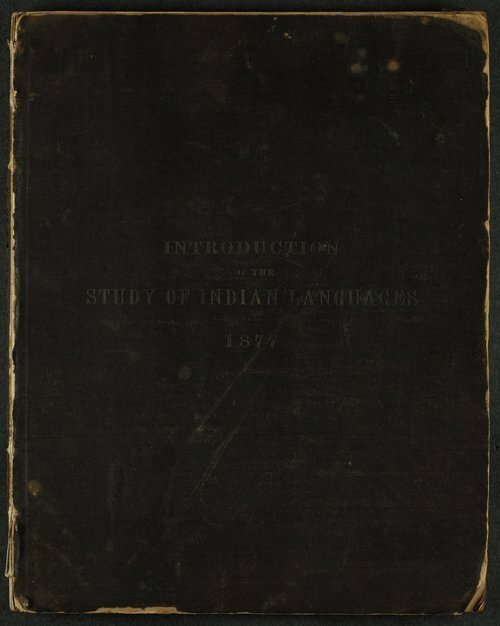 Written by John Wesley Powell and published by the U.S. Department of the Interior, this record book provided a method for recording American Indian languages. It built on a previous work by George Gibbs and includes an enlarged alphabet and vocabulary, and a section on phrases and sentences. The words written in the book are believed to be in the Kansa language, probably collected by Addison Woodard Stubbs (1854-1933). The Stubbs family donated the book to the Kansas Historical Society in 1954.